Global security giant G4S has taken on two new retained agencies after parting company with eight-year incumbent Citigate Dewe Rogerson. The world’s second largest employer has brought in Tulchan Communications to handle its financial comms and Bell Pottinger to support its corporate PR after repitching the accounts for the first time since 2003. The agencies will report to Debbie McGrath, group comms director at G4S, who confirmed the appointments. It is understood that agencies were given the option of pitching for the entirety of the work or more specific aspects of the brief. Agencies thought to have been on the final shortlist included incumbent Citigate, Pelham Bell Pottinger, FD and an alliance of WPP-owned agencies. Tulchan will take on the firm’s financial calendar and M&A-related work, while Bell Pottinger’s brief is thought to include G4S’s corporate reputation and profile, both in the UK and internationally, and an element of crisis work. Bell Pottinger sister agency FastTrack, part of Chime Communications, was alr­eady retained to support the group’s sports sponsorship programme and in particular its forthcoming sponsorship of the London 2010 Olympics. In 2009 PRWeek reported that Bell Pottinger had been called in by G4S to undertake a strategic comms project brief to help educate potential customers about the vast reach of the firm. 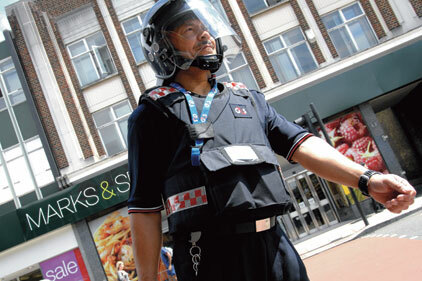 G4S has grown from its roots in traditional security to provide a host of security-related services across the globe.